Rainer Stiefel – teamowner of RS-Line and the man behind the GT1 Lamborghini Murcielago in the 2006 FIA GT Championship - confirmed today (December 4) the continuation of the operation in 2007. “We plan to run the Murcielago GT1 in the whole FIA GT season in 2007,” he said. “In accordance with our closest sponsor the team will be named ALL-INKL.COM-Racing. ALL-INKL.COM and René Munnich have become our closest partner and most important sponsor over the years. With the intensified involvement into our team he wants to emphasise his marketing efforts for his business“ (webspace provider and web services). 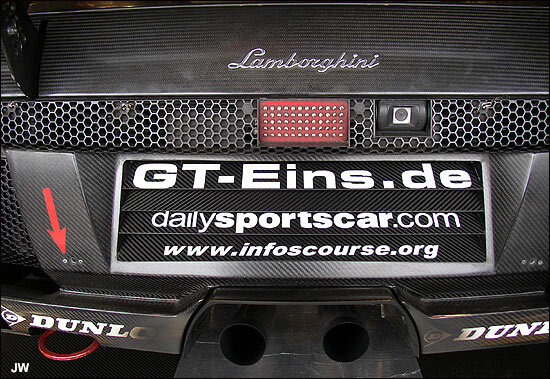 Stiefel also confirmed plans to field his GT3 Gallardo in the new German GT3 series. The last sentence suggests that the FIA European GT3 Championship could also be on the schedule of the German team next year.